Feb 2012: This is an archived page. 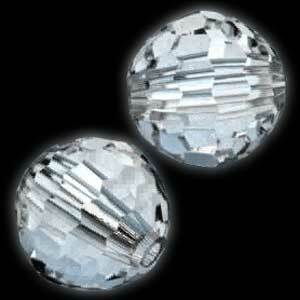 Please refer to Swarovski Crystal Bead 5003 Disco Ball for the full updated version. Swarovski Disco Ball 5003 is rightly and appropriately named. This bead has more superbly cut facets than any other. 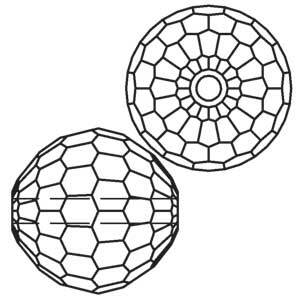 And it is these facets that make it seem as if they are indeed a endlessly turning disco call as light is reflected and refracted at every angle and direction. It is an endless sparkle that goes on and on. The Disco Ball 5003 is only available in limited colours but multiple sizes.